Part of the Diego Rivera mural in the DIA. Foundations pulled together to help save the art in the museum. Sarah Cwiek breaks down how foundations stepped in on the Detroit bankruptcy process. 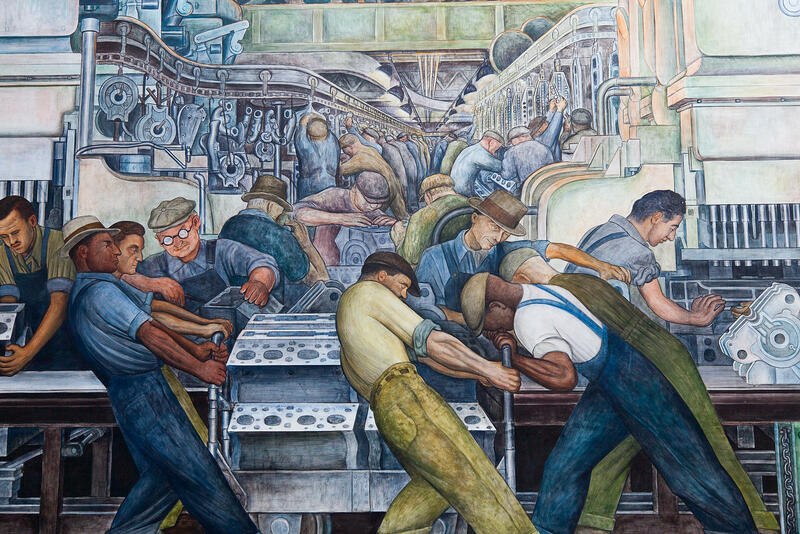 It’s hard not be awed by the scale and detail in Diego Rivera’s Depression-era “Detroit industry” murals at the Detroit Institute of Arts, but these scenes depicting both the splendor and hardship of an industrial powerhouse were potentially at risk in the city’s bankruptcy. 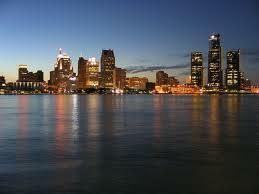 That’s because right now, Detroit owns the museum and its world-class collection. And that made Detroit’s creditors—collectively owed billions of dollars—ask: Why shouldn’t the city have to sell at least some of it to pay them? Darren Walker, President of the Ford Foundation, says the idea was offensive. But that fear actually turned out to be an important lever in the bankruptcy case. Mariam Noland is the President of the Community Foundation of Southeast Michigan. She was one of the very first foundation leaders to hear the pitch late last year. The deal would work like this: non-profits come up with the money to cushion the blow to the city’s most vulnerable creditor group: its pensioners. In return, the art is transferred to a charitable trust, where it’s protected from city creditors forever. National foundation leaders soon came to Detroit to hear the pitch. The Ford Foundation’s Darren Walker says it was impassioned and persuasive, but there were also some big concerns. The foundations got that commitment when the state of Michigan agreed to kick in almost $200 million. “The challenge and opportunity now is to rebuild the civic grid, the public commons in Detroit is frayed, and it needs to be strengthened,” said Walker. But others sound a note of caution about the grand bargain. “Any major city that faces similar pension problems is going to be thinking, ‘If Detroit can go to the major foundations and can get stop-gap funding, we should be able to do that too,’” he said. Schambra also worries about bigger implications for democracy. He says that while the grand bargain’s funders may have noble intentions, the arrangement smacks a bit of feudal Europe—where weak central governments meant civil society was dominated by the church and aristocracy. But the Community Foundation for Southeast Michigan’s Mariam Noland says it’s hard to know how precedent-setting the grand bargain really is. She says it does prove foundations can step up in extraordinary situations. “But in no way can it replace public dollars, federal, state and local. It was maybe a once in a lifetime opportunity for foundations,” she said. We’ll find out if the grand bargain becomes reality this afternoon. Mariam Noland and other civic leaders will be in the courtroom to hear the judge’s historic ruling. Detroit’s bankruptcy trial wrapped up Monday with closing arguments. At issue: whether the city’s plan of adjustment to restructure its debt is “fair and equitable” to its various creditors, as required by Chapter 9 of the municipal bankruptcy code. Judge Steven Rhodes must also decide if the plan is “feasible”—whether Detroit can balance its books and avoid slipping back into bankruptcy.